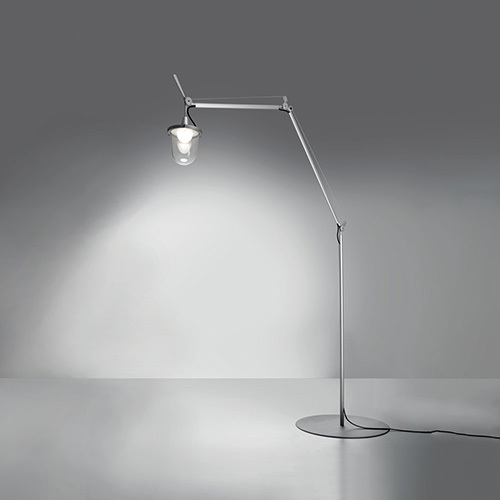 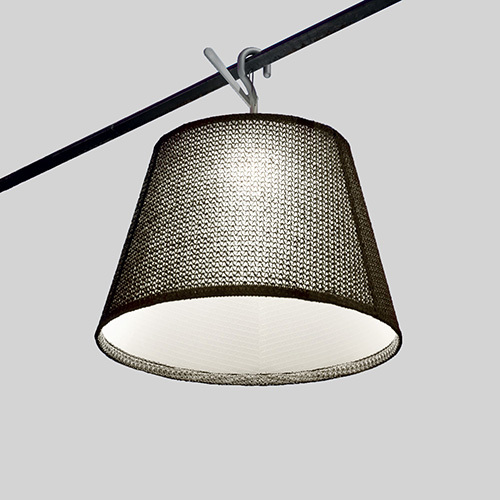 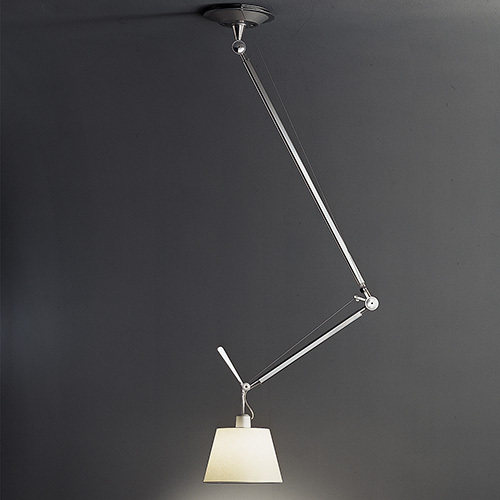 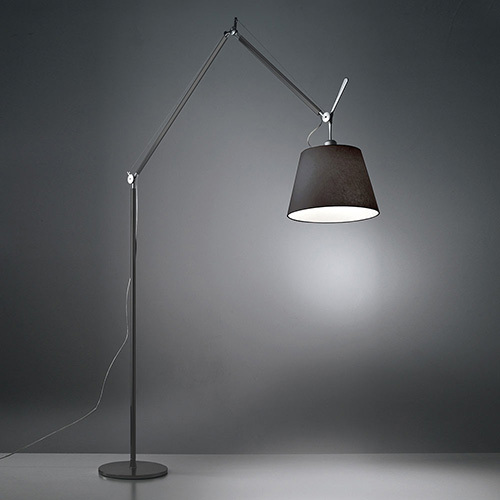 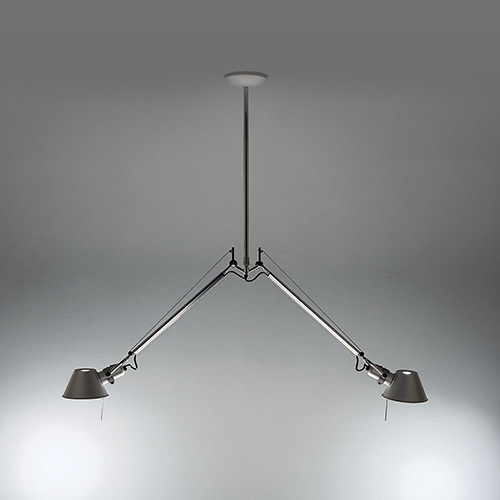 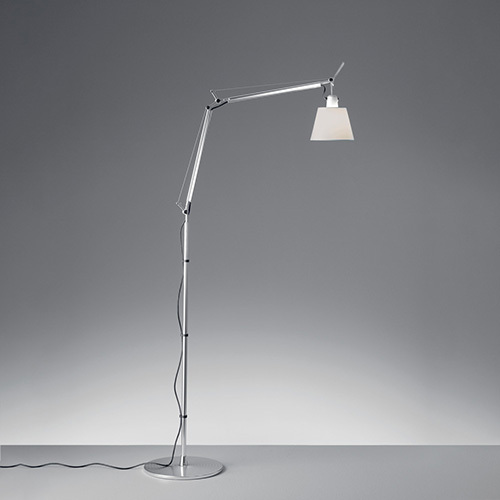 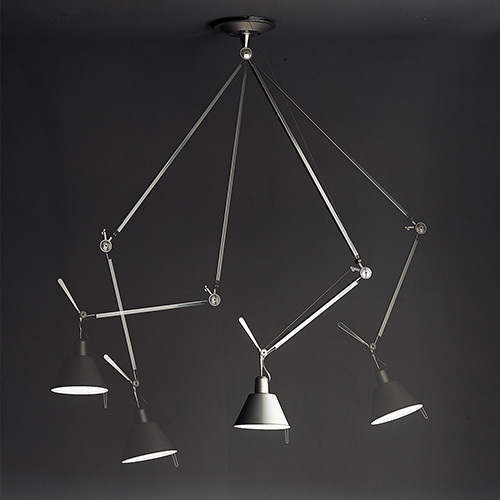 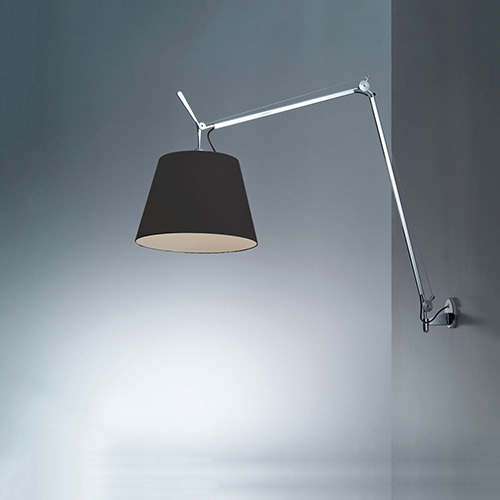 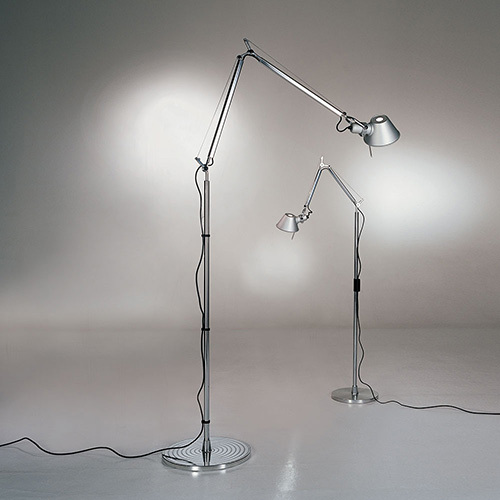 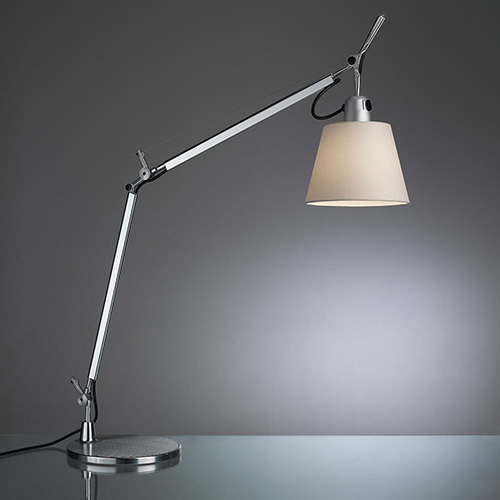 Born in Italy in 1961, Michele De Lucchi designed the Tolomeo in 1987. 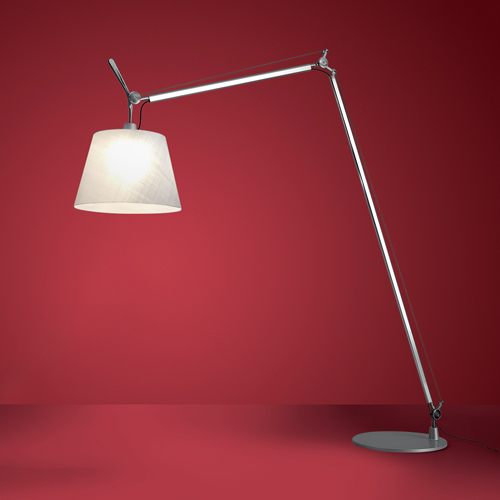 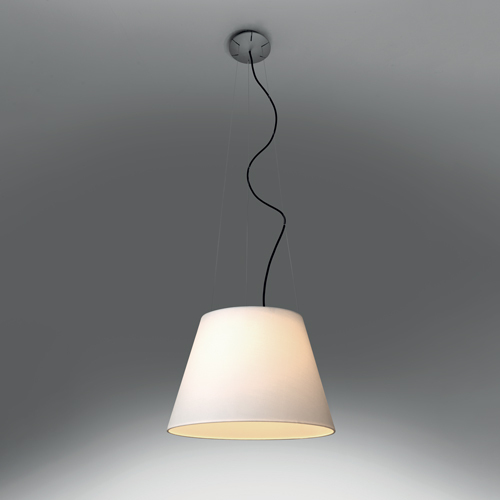 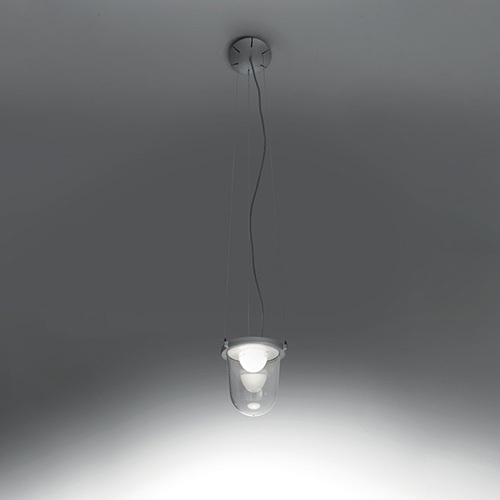 The lamp is now available in sizes from mini to mega is arguably Artemide’s most iconic fixture. 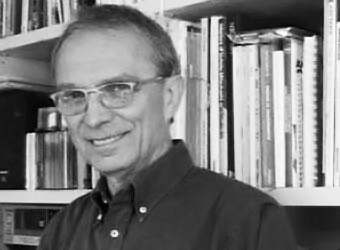 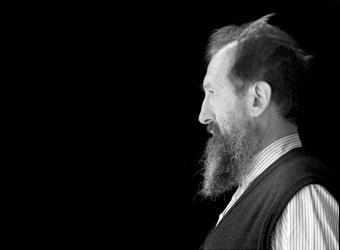 Having a background in architecture and industrial design, De Lucchi also favors a craftsman-like approach and since 1990 through the line “Produzione Privata,” he has created a series of artisan-produced items such as small sculptures carved with a power saw. 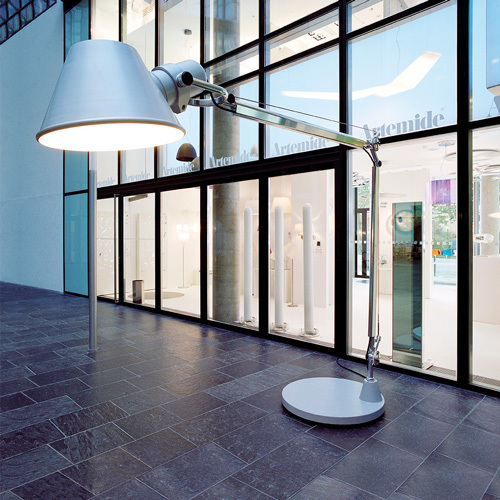 Born in Milan in 1935, Italian architect Giancarlo Fassini was a leading figure in Italian avant-garde design beginning in the 1970’s. 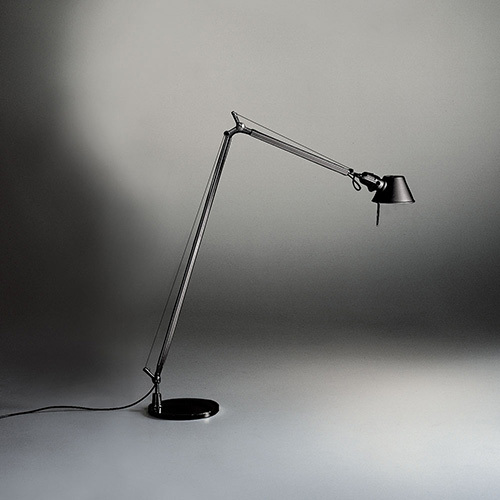 Through his work with the Radical “anti-design” movement he explored scale distortion, color and promoted the social relevance and humor of objects. 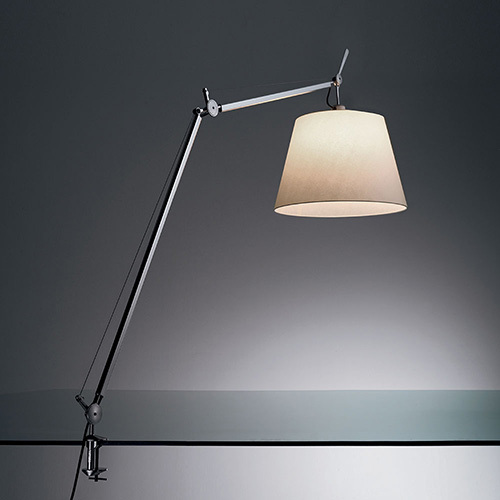 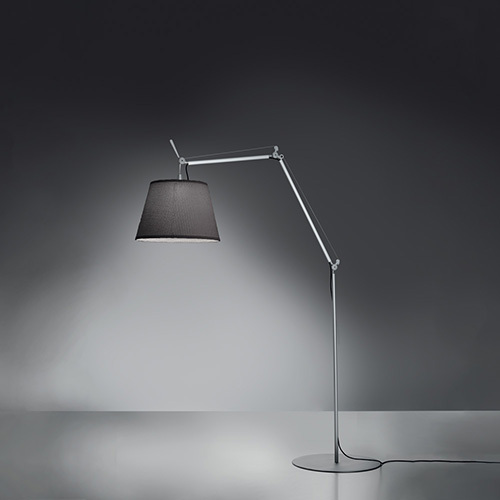 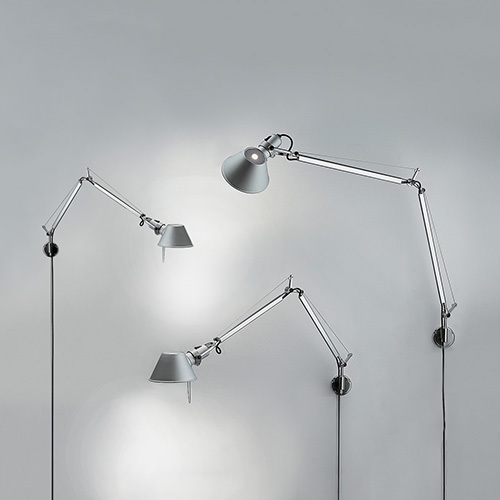 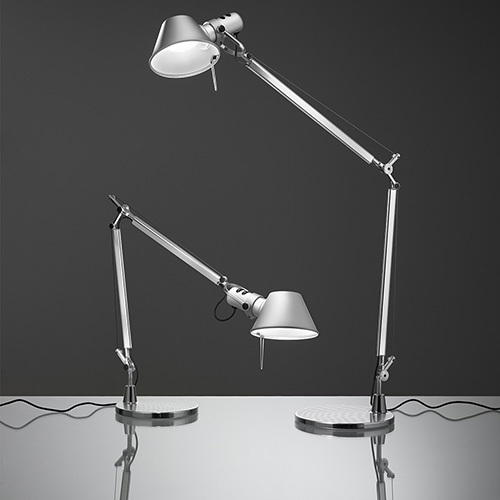 The Tolomeo, his iconic lamp series for Artemide, was created in collaboration with Michele De Lucchi. 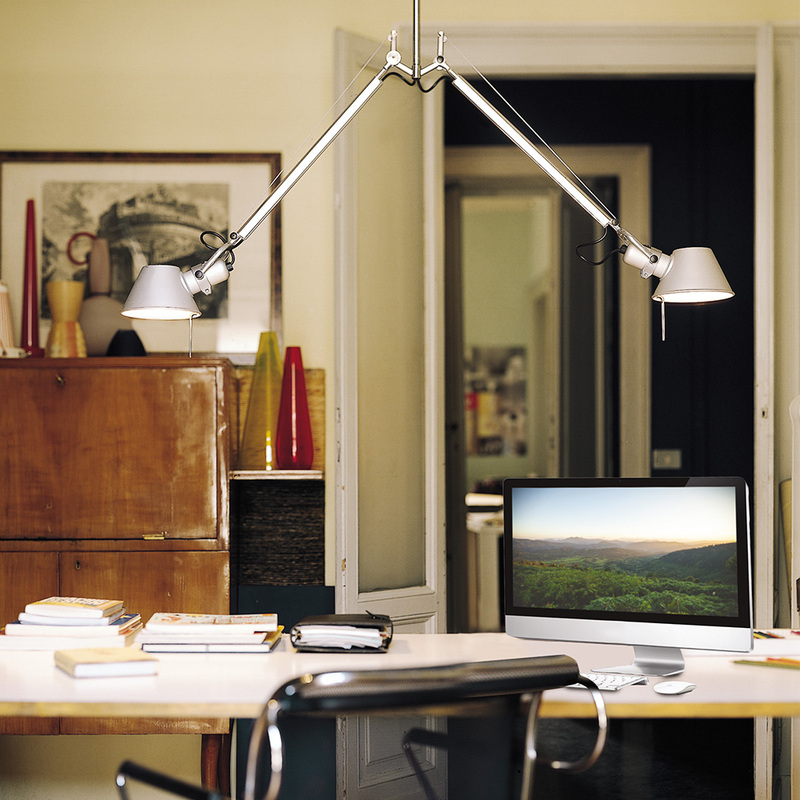 An extension to the iconic Tolomeo family, Tolomeo suspension features the same arm balancing system as the Tolomeo table lamp adapted to a suspension mounting system. 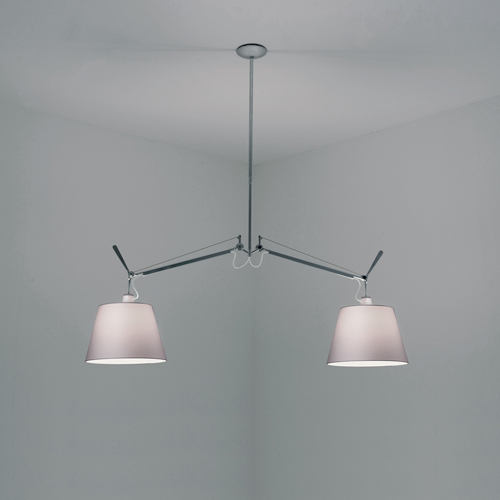 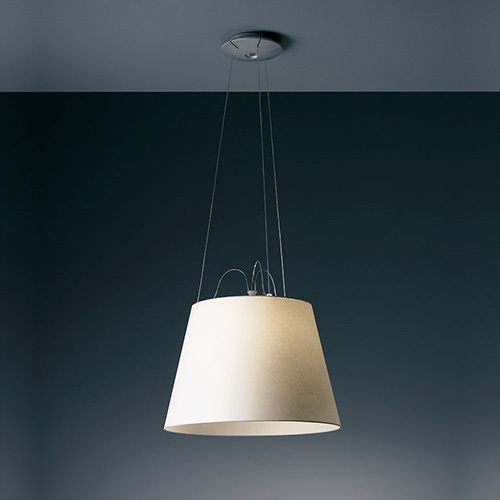 Available in double suspension or off-center versions, with or without shade, Tolomeo suspension offers a wide range of suspended lighting solutions. 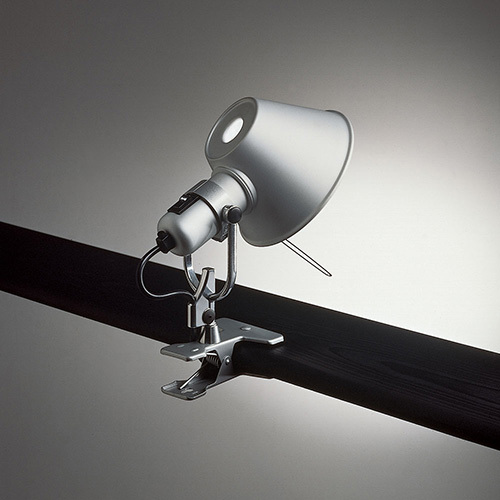 -Fully adjustable, articulated arms in extruded aluminum. 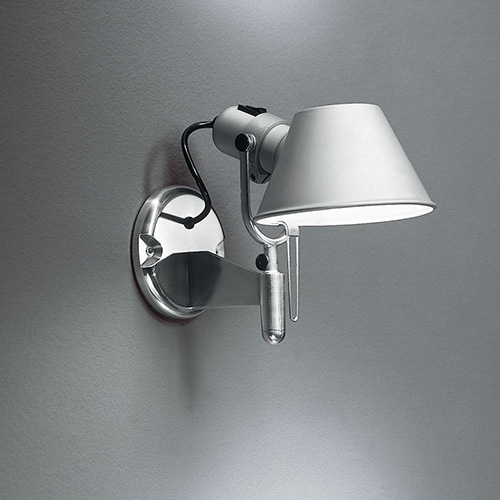 -Joints and tension control knobs in polished die-cast aluminum. 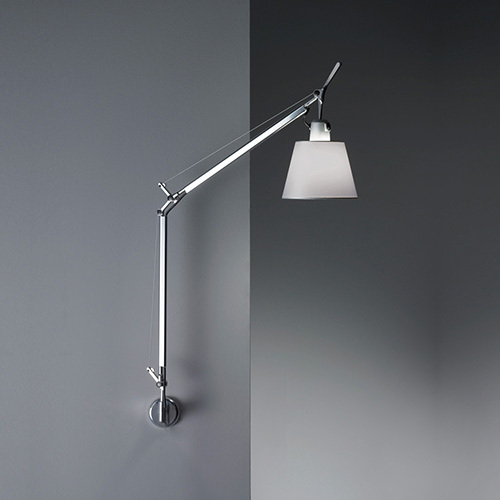 -Telescopic stem in chrome plated steel, adjustable at installation. 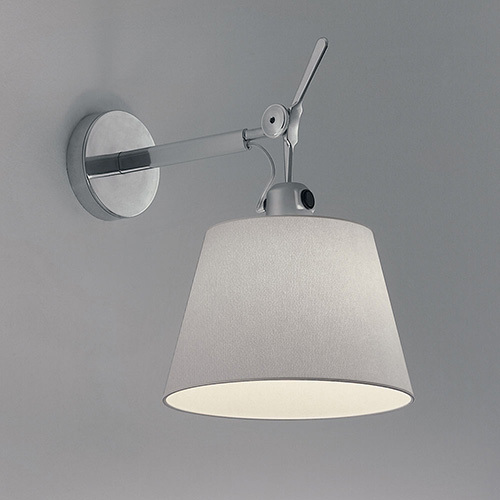 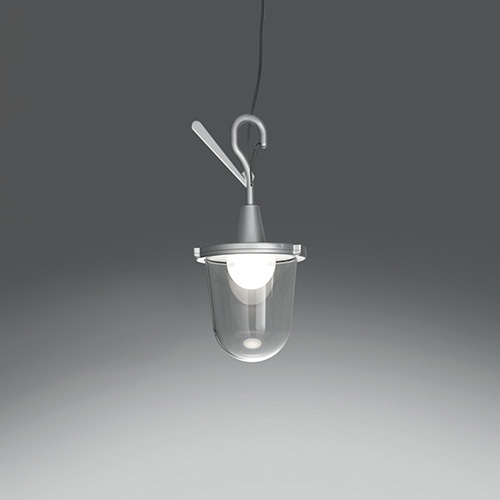 -Diffusers in aluminum rotatable 360˚ and incorporating on/off switches.